As we grow old, our skin starts to show signs of aging. It starts losing its natural elasticity, which leads to sagging. Sagging of skin is a natural process and is irreversible, but it can be reduced and delayed. Often, people opt for cosmetic surgeries that are very costly and have side effects. Fortunately, there are some home remedies to tighten skin. They are simple and easy and also work effectively to reduce wrinkles and fine lines. Before we delve into the various home remedies, let us understand the reasons your skin become loose and saggy. What Causes The Skin To Become Loose And Saggy? With age, the collagen synthesis in the skin becomes slower, causing the skin to lose its elasticity and sag. The connective tissue in the skin that supports various cartilages and bones weakens with age. The fat that was once evenly distributed beneath the skin and holding it up starts to lose volume and forms clumps. These clumps begin to sag due to gravity. Excessive exposure to sunlight damages the collagen and elastin in the skin, causing them to unravel and make the skin saggy. Cigarette smoke and air pollution are other factors that can fasten the process of wrinkle formation and sagging skin. Thus, both intrinsic and extrinsic factors play a role in causing your skin to become loose and saggy (1, 2, 3). 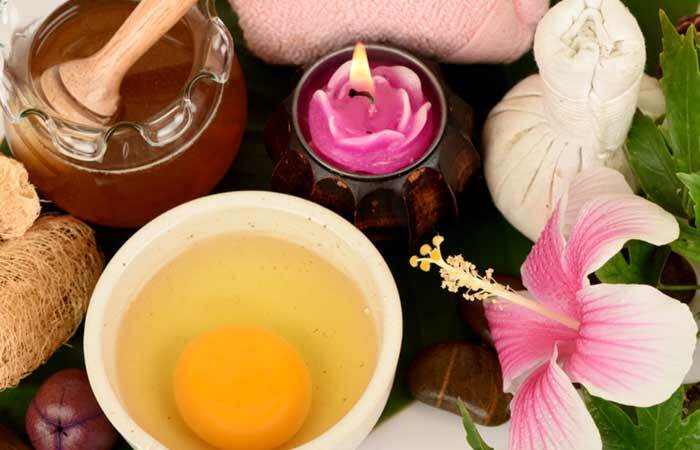 Let us take a look at the home remedies that you can use to firm up and tighten your skin. 1. Massage the oil in upward circular motions on the affected area. 2. Keep massaging for five to 10 minutes. 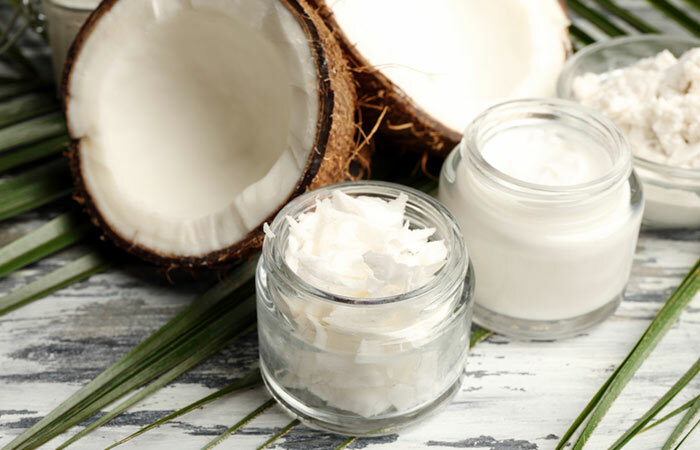 Coconut oil penetrates into deeper layers of the skin and rejuvenates the skin cells. It keeps the skin hydrated and nourished. Its antioxidants eliminate free radicals that are damaging your skin and speeding up the aging process (4). 1. Heat the oil until it becomes lukewarm. 2. Before taking a shower, massage the affected areas or even your entire body with mustard oil. 3. Massage in upward motions for about five minutes. 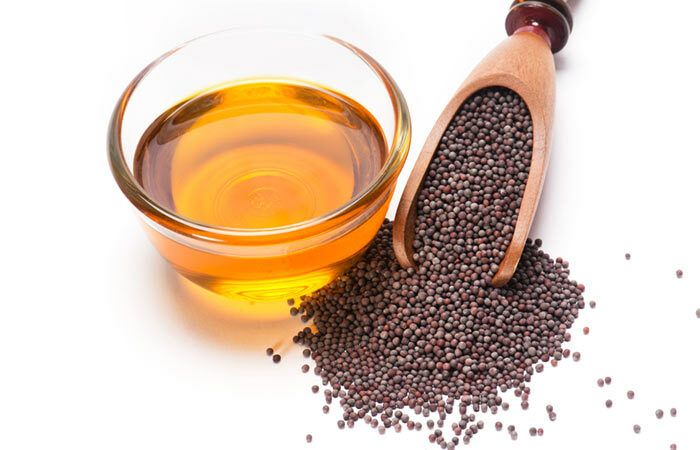 Mustard oil tightens skin and makes your skin glow. The skin is rejuvenated as blood circulation is enhanced because of the mustard oil massage. The high levels of vitamin E present prevent aging and wrinkles (5). Mustard oil can sometimes cause skin inflammation. Do a patch test before using it to massage your skin. 1. Peel and grind the cucumber to get a smooth liquid. 2. Add rosemary oil to it and mix well. 3. Apply this on the face and other affected areas. 4. Leave it on for 15 to 20 minutes and then rinse. Use this remedy once in every three to four days. 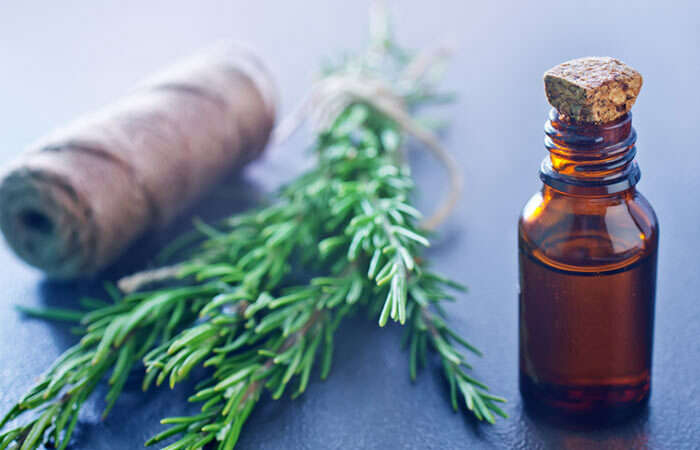 This essential oil improves blood circulation, and this, in turn, tones your loose skin. The antioxidants present enhance the production of fibroblasts and improve the skin’s elasticity (6). It is rich in carnosol and squalene, which slow down the skin’s aging process (7). Massage almond oil on your body for 20 minutes before taking a shower. Do this everyday or at least every alternate day. 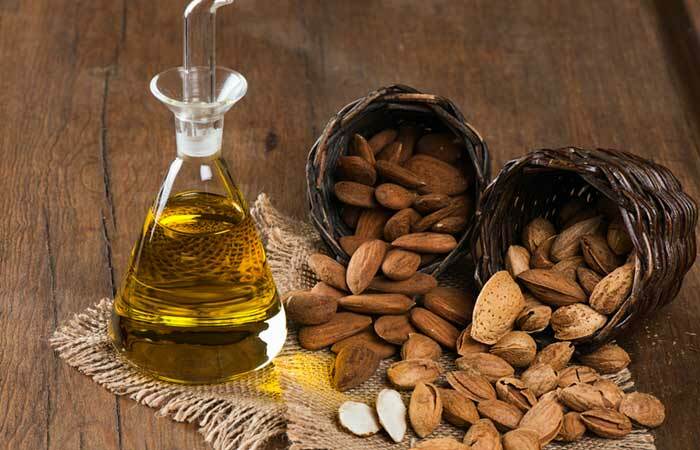 Almond oil is rich in vitamin E and provides moisture to the skin. It visibly reduces skin sagging and tightens skin naturally (8, 9). 1. 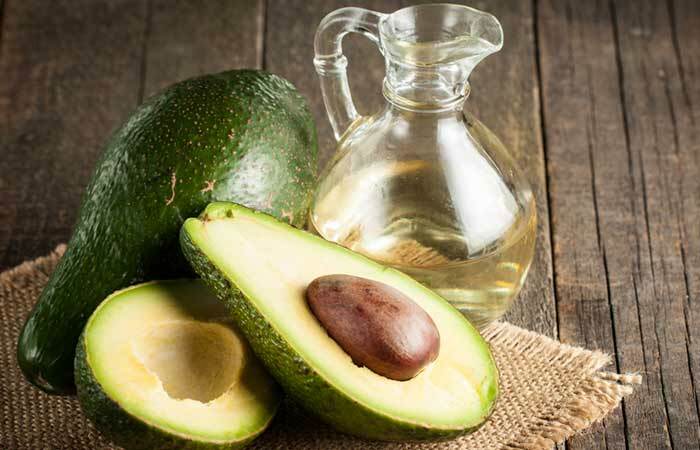 Massage the loose and sagging skin in upward motions with avocado oil for about 15 minutes. 2. Leave it for an hour or so and then wash it off. Avocado oil is highly moisturizing in nature and penetrates deep into the skin. It also boosts collagen synthesis, and this greatly improves the firmness of your skin (10). It contains high levels of vitamins A, B, and E that help to tighten skin (11). 1. Pierce a few vitamin E capsules and remove the oil present inside. 2. Massage this oil on your skin for 10 to 15 minutes. Apply vitamin E oil every night before going to bed. Vitamin E is essential for the skin to remain healthy, glowing, and firm. Its antioxidant nature prevents the skin from free radical damage and improves the skin’s health and appearance (12, 13). 1. Puncture the capsules and apply the oil present inside on your skin. 2. Massage for a couple of minutes. 3. You can either leave the oil on overnight or wash it off after an hour. You can also ingest a fish oil capsule every day. 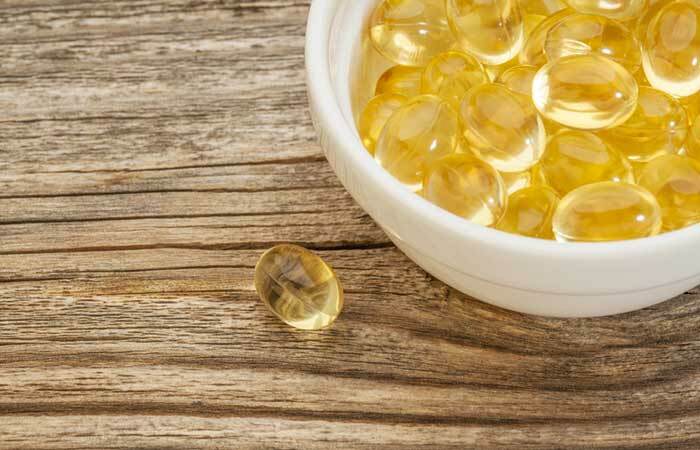 Fish oil contains plenty of omega fatty acids that nourish and hydrate the skin. The blood circulation to the skin is enhanced, and this impacts the cell renewal capacity of the skin (14). Your skin will soon become taut and glow. Do not use this remedy if you are allergic to fish and fish products. 1. After taking a shower, pat your skin dry. 2. Massage olive oil all over your body for a few minutes. Use olive oil every day instead of a body lotion. 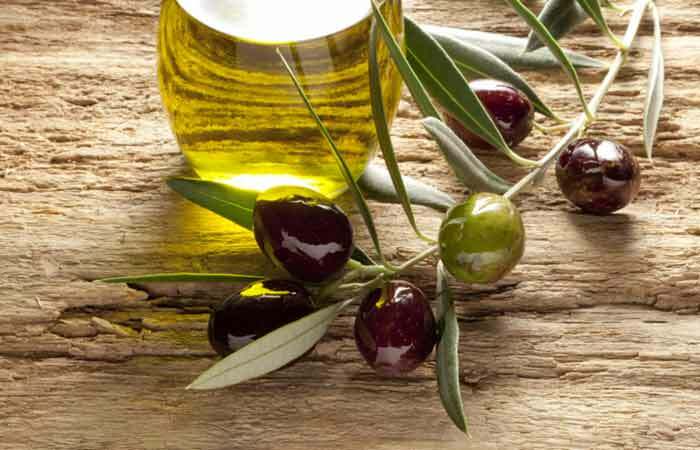 Olive oil is the go-to remedy to seal moisture and keep your skin glowing. It is rich in antioxidants and vitamin E that tighten your skin and prevent photodamage (15). 1. Take a few drops of primrose oil on your fingers and massage your face and neck in upward motions. 2. Continue massaging for five to seven minutes. 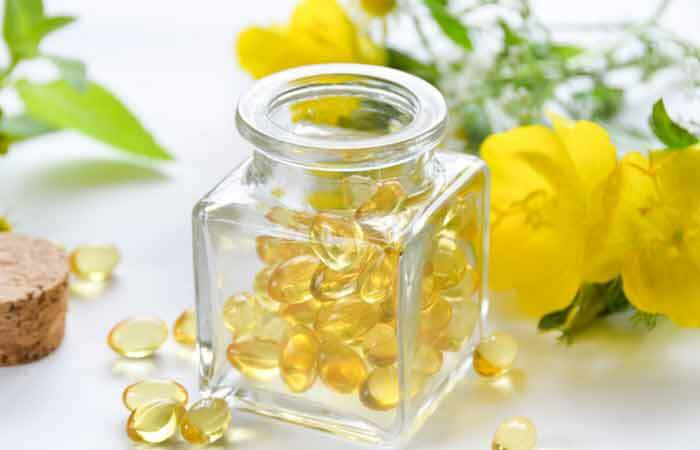 Primrose oil contains gamma-linolenic acid (GLA) that aids in collagen synthesis and prominently reduces fine lines, wrinkles, and sagging skin (16). 1. 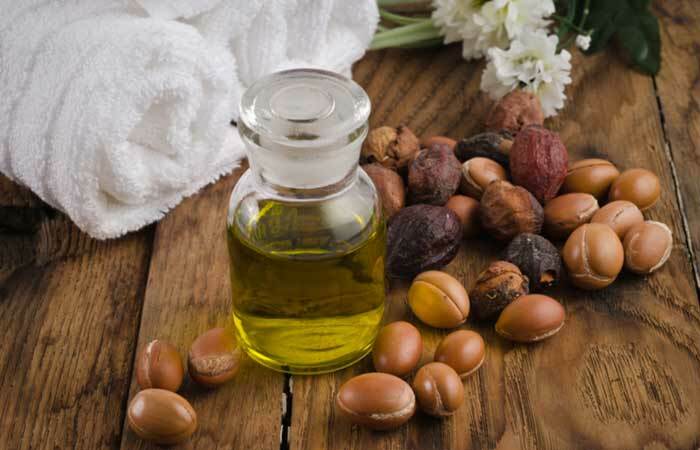 You can add a few drops of argan oil to your body lotion or use it by itself to massage your skin. 2. Leave the oil on for the day. Use argan oil in your daily skin moisturizing routine. The nourishment provided by argan oil to the skin gives it more elasticity and makes it firmer. These anti-aging effects of argan oil have been tested and tried by scientists and common people. There was a noticeable increase in the skin’s elasticity after regular usage (17). 1. Take the egg white and mix it with the honey. 2. Apply this mask to your face and leave on for 15 minutes. 3. Wash off with water after this. It is recommended to use this face mask thrice a month for a tighter skin. Egg white is rich in the protein albumin and can improve the skin’s elasticity to a great extent. It also helps in rebuilding the skin cells and imparting a natural glow (18, 19). Honey locks in the moisture in your skin and also rejuvenates it with its antioxidants (20). This is one of the sure shot home remedies for tightening skin. 1. Mash the banana and apply this all over your face and neck. 2. You can also squeeze a few drops of lemon to the mashed banana. 3. Leave it on your face for about 15 minutes and then wash off with water. Use this pack twice a week for best results. 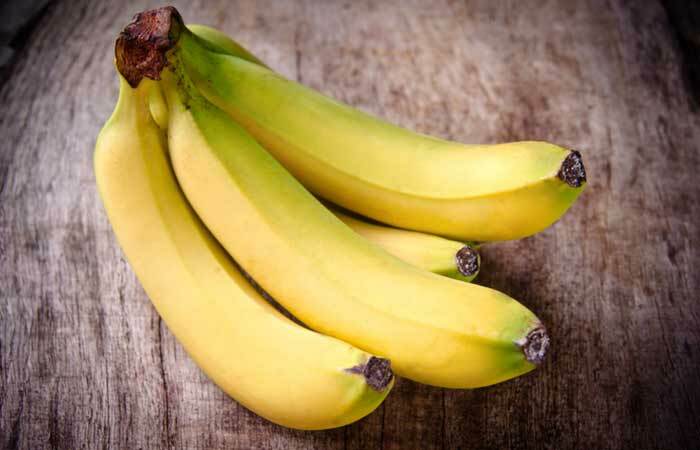 Banana is rich in iron, zinc, potassium, magnesium, and vitamins A, B, C, and D. Mashed, ripe bananas can be used for skin tightening as its minerals and vitamins give it anti-aging properties. It also smoothens and moisturizes the skin (21). 1. Mix the clay powder and powdered milk. 2. Add enough water to get a smooth paste. 3. Apply this all over the face and the neck area and let it dry. 4. Wash the mask after 15 to 20 minutes. 5. Pat dry and moisturize. Apply clay mask once a week. 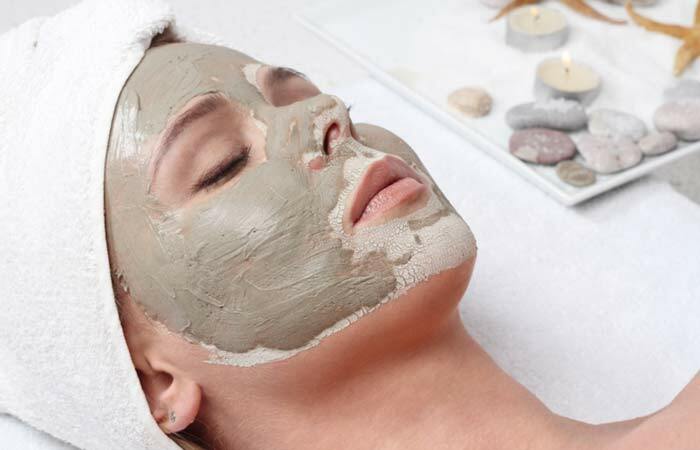 Both green clay and Bentonite clay are excellent for the skin. They absorb impurities, tighten pores, and make the skin smooth and firm (22). The application of clay on the skin has also been shown to increase collagen synthesis (23). Do not move your face while the mask is on. Talking, frowning, or smiling with the mask on can cause wrinkles. 1. Lightly warm up the coconut oil to melt it. Let it come down to room temperature. 2. Mix all the other ingredients and add the cooled down coconut oil to the mixture. Mix well. 3. Scrub this gently on your skin in circular motions for a few minutes. Use this coffee scrub once or twice a week. The caffeine present in coffee draws out excess moisture from the skin and eliminates fat deposits, which makes the skin firm and soft. Coffee also contains antioxidants that slow down the skin aging process (24). 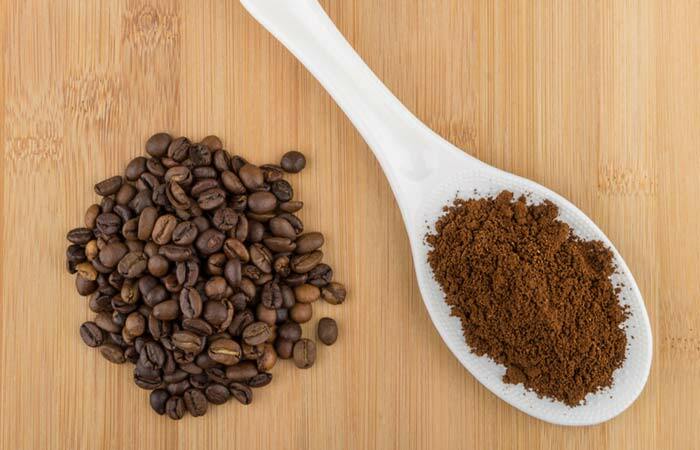 The coarse granules of the coffee and sugar exfoliate the skin and also aid in keeping it firm (25). During this process, the coconut oil will keep the skin hydrated and moisturized. 1. Dip the cotton pad in the witch hazel liquid and apply it on your face and neck in upward strokes. 2. Let it dry for five minutes. Repeat with another round of witch hazel. 3. Do not rinse your face after the application. 4. Also, use this on other parts of your body like your arms, tummy, and other affected areas in the same way. This is best done at night before you hit the bed. Repeat this daily. 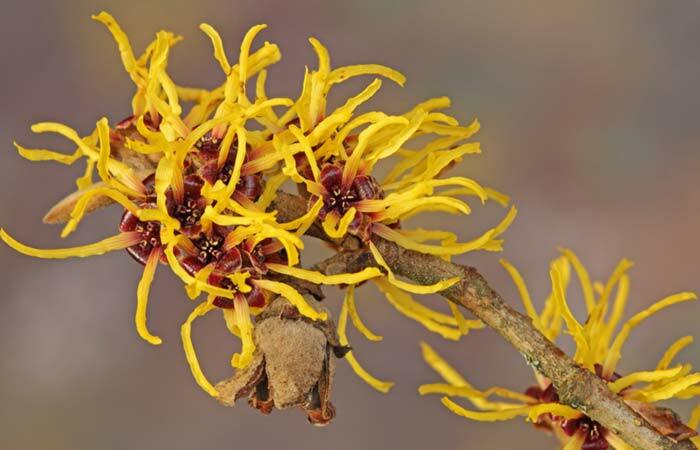 Witch hazel is a commonly used astringent. It tightens the skin pores and this, in turn, makes your skin firm. The polyphenols (antioxidants) present in witch hazel inhibit the activity of the enzymes that degrade collagen and elastin in the skin (26). 1. Cut open an aloe leaf and extract the gel present inside. 2. Apply fresh aloe gel on the affected area and let it dry for 15 to 20 minutes. 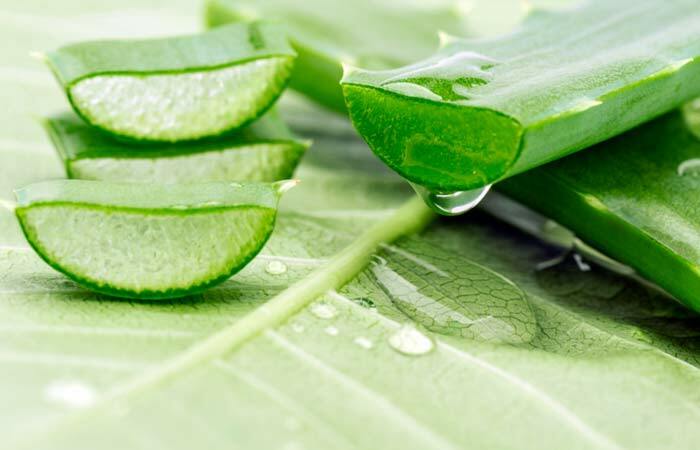 Aloe vera contains a variety of phytochemicals that will ensure optimal health of your skin. It soothes the skin, nourishes it, and protects it from photodamage and thus aging. It also tightens the skin (27). 1. Dip the alum piece in water and rub this all over your skin gently. 2. Rinse after 20 minutes. Do this every day to get firmer skin. Alum is a skin tightening agent that can be used by itself or added to masks to enhance their skin firming effects. Alum also works as an astringent and reduces enlarged pores on the skin (28). Alum can be drying for the skin. Always moisturize your skin after rinsing off the alum residue. 1. Juice the tomato and dip the cotton ball in it. 2. Apply a thin layer of tomato juice on the affected area. 3. Let it sit for 10 to 15 minutes. Then, wash with clean water. 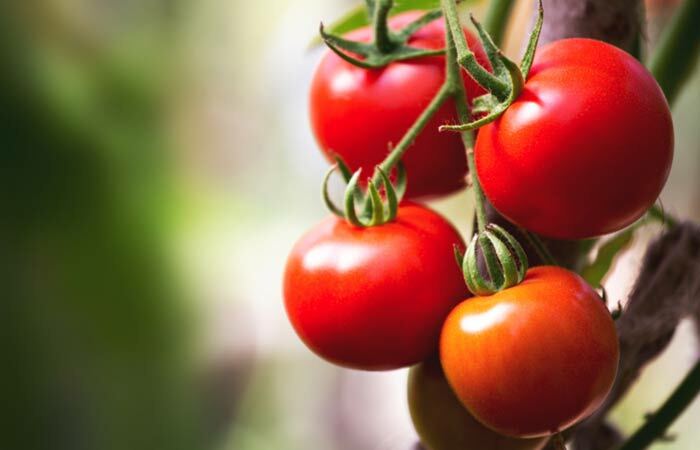 Tomato juice is soothing for the skin. It is a natural toner that firms up loose and saggy skin. It also contains antioxidants that even out your skin tone and give you a natural glow (29). 1. 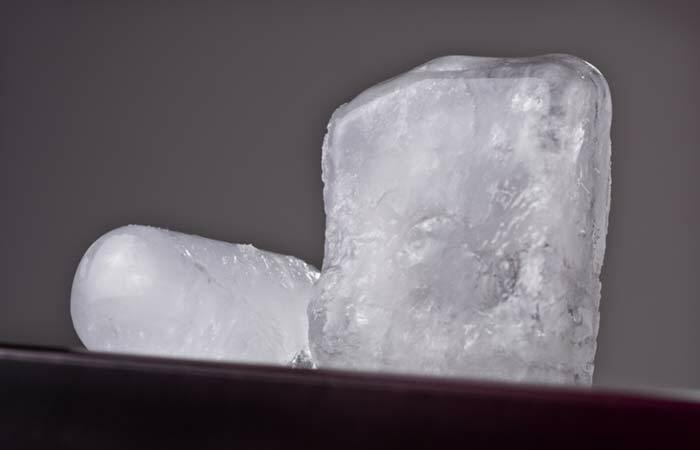 Fill the bathtub with warm water and add Epsom salt to it. 2. Mix the salt in the water and soak in this water for 15 to 20 minutes. Soak in Epsom salt water twice or thrice a week. 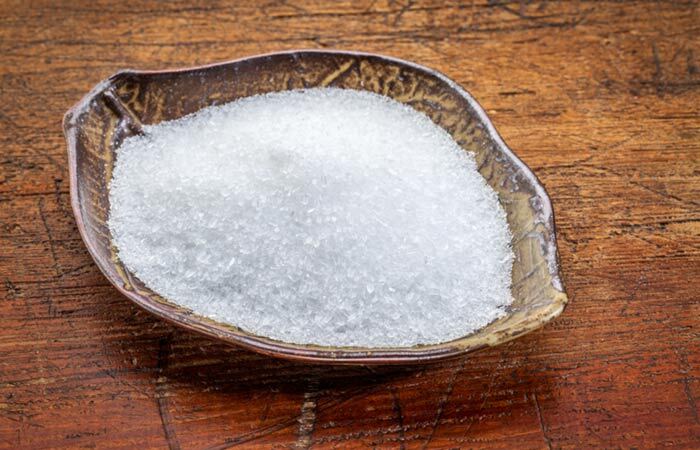 Epsom salt tightens the skin and removes all the extra fluids that might cause your skin to sag. It also improves circulation, which aids skin tightening (30, 31). 1. Squeeze out some fresh lemon juice and apply it on your face and neck using the cotton ball. 2. Leave it on for five to 10 minutes. 3. Rinse with water. Pat dry and moisturize. 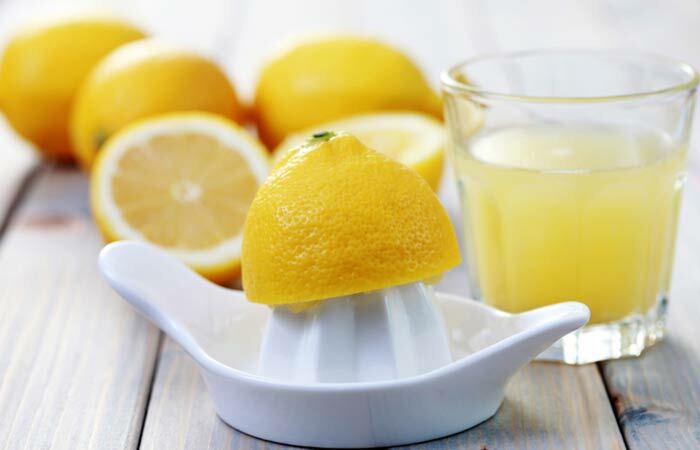 If you have sensitive skin, dilute the lemon juice with equal parts of water before using it on your face. The astringent properties of lemon juice are also beneficial in tightening the skin (32). Vitamin C found in lemon juice aids collagen synthesis (33). 1. Mix rose water with multani mitti and honey. You will get a paste of thick consistency that will be easy to apply. 2. Apply this pack on the face and neck with a face pack brush or your fingers. 3. Let it dry for about 20 minutes and then rinse with cool water. 4. Moisturize your skin after washing. Fuller’s earth displays a deep cleansing action when applied on the skin. It absorbs all impurities and, at the same time, improves blood circulation to the skin. It leaves the skin toned and fresh (34, 35). Do not use this remedy if you have sensitive skin. 1. Cut a papaya into small pieces and blend the pieces in a blender. To this, add the rice flour and mix well. 2. Apply this mixture to your skin. Gently rub in upward circular motions. 3. Do this for 15 minutes and then wash off with water. Use this scrub twice a week to get tighter skin. 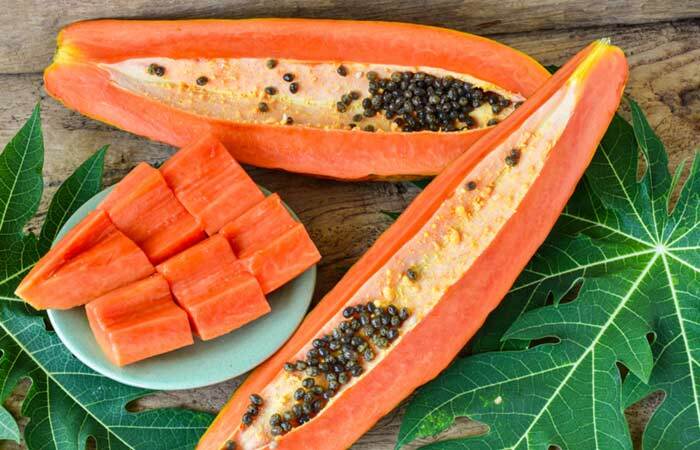 Papaya has useful enzymes like papain that help to tighten sagging skin. It makes the skin smooth and supple as it contains vitamin A and antioxidants. It also contains vitamin C, which, as we already know, plays a role in collagen synthesis and maintenance (36). 1. Mix the lime juice with the yogurt. 2. Apply this mixture on your face. 3. Massage for 10 minutes and leave it on for another five minutes. Wash it off with water. Repeat this three to four times in a week. Yogurt face mask is widely used as a natural remedy to tighten saggy skin. 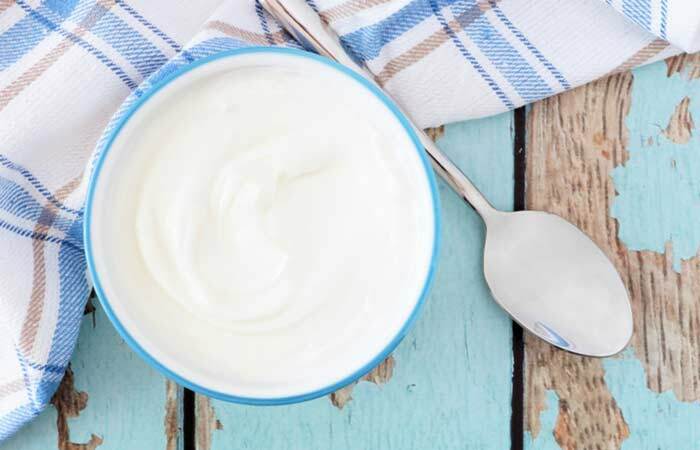 The lactic acid present in yogurt shrinks pores and tightens skin. Using this mask regularly will also help to impart a natural glow to the face (37). Don’t wait for your skin to wrinkle and sag! Start using these remedies even if you are just 20 years old so that you have healthy skin when you reach your 60s. Green tea has many health benefits. More and more people are consuming green tea to stay fit. Green tea helps in detoxification of the skin. 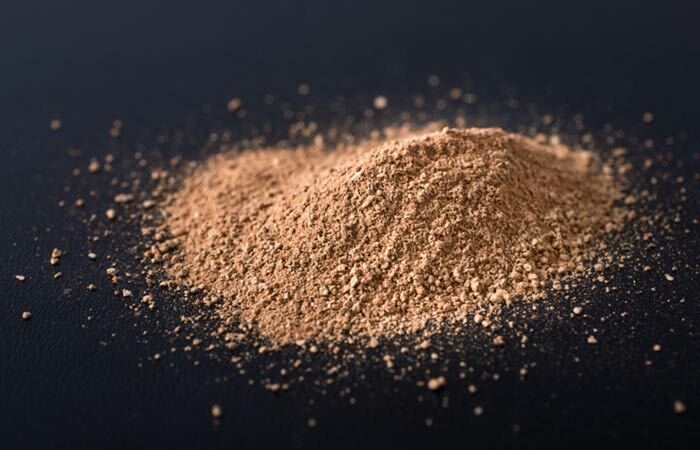 It is rich in antioxidants that boost collagen production naturally. Thus, it gives a tighter, wrinkle-free skin (38). Include lean protein such as chicken, fish, eggs, beans, and cottage cheese to help your body build lean muscle, collagen, and elastin. Eat plenty of fruits and vegetables that will help your skin stay firm by providing the right nutrients and also antioxidants. It is recommended to have five to six portions of healthy fruits and vegetables in a day. Some healthy fruit options for skin tightening are berries, mango, banana, and grapefruit. Vegetable options include avocado, carrots, cucumbers, and tomatoes. Fruits and vegetables also contain a lot of water, and this will keep your skin hydrated and supple. Drinking enough water is essential to maintain a healthy and firm skin. Make a habit of having 8-10 glasses of water in a day. Downward Dog Pose – Helps to tighten skin, especially in the tummy area and also around the thighs. Cobra Pose – Tightens the tummy and chest area. Upward Facing Dog Pose – The abs, neck, back, and legs are toned with this pose. Plank Pose – Tightens the belly region and also strengthens your spine. Bow Pose – Helps to tighten the facial skin and neck and also the belly. Other Breathing Poses – Improve circulation to the face and tone the skin naturally. Yoga is most beneficial when practiced in the early hours of the day when the air is fresh and cleaner. You can read in detail about these different poses to tighten sagging skin here. Apart from yoga, other types of exercises can also be included in your daily workout regimen that aid in skin tightening. If the skin has become loose and saggy due to weight loss, pregnancy, or age, it can be toned to a great extent with regular strength training exercises. These exercises involve using weights with different exercise variations that will work on your muscles and sagging skin. They strengthen and tone the muscles, and this improves the elasticity of the skin. First and foremost, maintain a healthy diet that includes plenty of fruits, vegetables, and lean protein. Drink enough water during the day. This will prevent your skin from getting dehydrated and loose. Use the right moisturizer to keep your skin nourished. Protect your skin from sun damage by using a sunscreen with SPF 20-SPF 30 at least. Apply it not just on your face but also on your neck and all exposed parts like the arms and feet. Reapply the sunscreen after three to four hours if you are going to step out in the sun again. Follow the CTM routine for your face and neck every day. Cleanse well, and follow it up with a toner and a moisturizer. Always apply moisturizers and oils in gentle upward strokes, especially on the face and neck. Exfoliate the skin on your face, neck, and body at least once a week. Exercise regularly to keep your muscles and skin toned and taut. Avoid smoking as it interferes with the collagen production in the skin and can greatly damage your facial skin. Avoid harsh chemicals in soaps, serums, and lotions as these can have long-term side effects on the skin’s elasticity. Lastly, use tightening face packs and masks regularly to maintain glowing skin that is firm and supple. 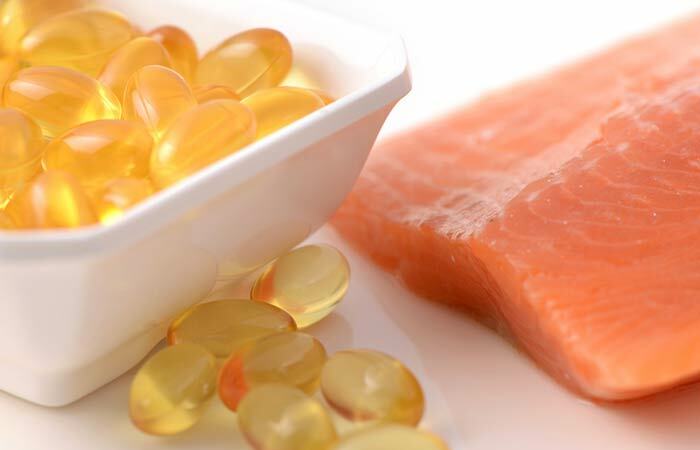 What Vitamins Are Good For Skin Tightening? Vitamin C – When it comes to skin tightening, the two components collagen and elastin are essential to maintain the skin’s elasticity and tautness. The human body synthesizes collagen with help from dietary vitamin C as we lack the enzyme for in vivo synthesis of this vitamin. Vitamin C is directly involved in collagen synthesis, and optimum amounts of it need to be supplied to the skin through diet or topical application (39). Vitamin A – It maintains the morphology of the skin by helping the cells to divide and adhere to each other properly (40, 41). Vitamin E – Even though the other vitamins mentioned also exert antioxidant effects on the body, vitamin E is definitely the king of antioxidants, especially when it comes to skin health. It protects the skin from free radical damage, thus preventing premature aging. Vitamin D – This vitamin supports the entire skin structure. Vitamin D takes part in various growth and differentiation processes in skin cells (42). Supplying the body with optimum levels of these vitamins is essential to keep your skin healthy, toned, firm, and also glowing. As if the wrinkles and furrows weren’t enough, the skin takes the aging process a notch further by starting to sag. Using the above-mentioned home remedies for skin tightening and following the various diet, exercise, and lifestyle tips will keep your skin firm and strong.